Low oil prices are threatening the health of Canada's oil and gas sector, which in turn, is causing turmoil in Canada's economy as a whole. 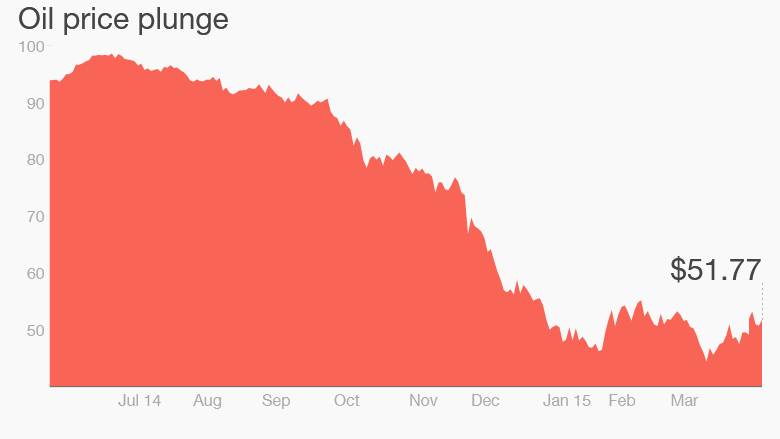 The fall in oil prices is forcing billions of dollars in spending reductions for Canada's oil and gas industry. In February, Royal Dutch Shell (RDSA) shelved plans for a tar sands project in Alberta that would have produced 200,000 barrels per day. Last year, Petronas put off plans to build a massive LNG export terminal on Canada's west coast. Moody's recently predicted that very few of the 18 proposed LNG projects in Canada will be constructed. Most will be canceled. The oil industry is expected to lose 37% of its revenues in 2015, or a fall of CAD$43 billion. That is bad news for Canada's oil and gas sector. But even worse, Canada's overdependence on oil and gas will threaten its broader economy now that the sector has gone bust. The severe drop in oil prices has made the Canadian dollar one of the worst performing currencies in the world over the past year. The "loonie" used to trade at parity to the U.S. dollar, and even appreciated to a stronger level a few years ago, but now a Canadian dollar gets you less than 80 U.S. cents. Disaster levels: While a weaker currency has complicating effects on the economy (it will also boost exports, for example), on balance low oil prices have been an unmitigated disaster for Canada's economy. Canada's GDP "fell off a cliff" in January of this year, according to a report from Capital Economics, a consultancy. Canada's economy could be shrinking by 1% on an annualized basis. For the full year, Capital Economics predicts growth of 1.5%, followed by a weak 1% expansion in 2016. "Overall, unless oil prices rebound soon, the economy is likely to struggle much longer than the consensus view implies, even as the improving US economy supports stronger non-energy exports," Capital Economics concluded. Other economic analysts agree. Nomura Securities worries about "contagion," as the collapse in oil prices lead to less drilling, declining demand for supporting services, falling housing prices, a sinking stock market, and weakness in other sectors like construction and engineering. The pain could be concentrated in Alberta in particular, where household debt averages CAD$124,838, compared to just CAD$76,150 for the rest of Canada. Now with the rug pulled out beneath the economy, there could be a day of reckoning. High-cost oil: Much of Canada's oil production comes from high-cost tar sands. When they are up and running, tar sands operations can produce relatively more stable outputs than shale, which suffers from rapid decline rates. But, nevertheless, tar sands are extremely costly, with breakeven prices at $60 to $80 per barrel for steam-assisted extraction and a whopping $90 to $100 per barrel for tar sands mining. Even worse, Canada's heavy oil trades at a discount to WTI, which makes it all the more painful when oil prices are low. The discount is nearly $12 per barrel below WTI right now. Some of that discount is the result of inadequate pipeline capacity, trapping some tar sands in Canada. The stalled Keystone XL pipeline is the most controversial, but not the only pipeline that has been blocked. The head of Canada's Scotiabank recently warned that the inability to build enough energy infrastructure, plus Canada's near total dependence on the U.S. market, puts Canada's economy at risk. The Bank of Canada surveyed the top executives at Canada's 100 largest businesses found that two-thirds of them think it is critical to diversify the economy away from oil. With such a dependence on commodities, the oil bust has rippled through the economy, forcing layoffs and increasing unemployment. Consumer confidence is low, and hiring is at its lowest level since 2009, during the immediate aftermath of the global financial crisis. Of course, diversification can only be achieved over the longer-term. 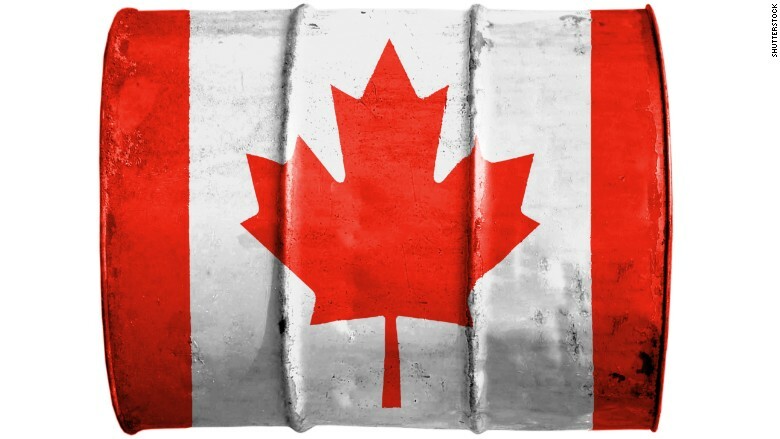 In the near-term Canada's fate is tied to the price of oil.